Warrick Fitzhugh will do anything to protect his compatriots in the Foreign Office, including seduce Fallon, who he thinks can lead him to the deadliest crime lord in London. He knows he's putting his life on the line. To Warrick's shock, Fallon is not who he thinks she is, and the secrets she's keeping are exactly what makes her his heart's desire. 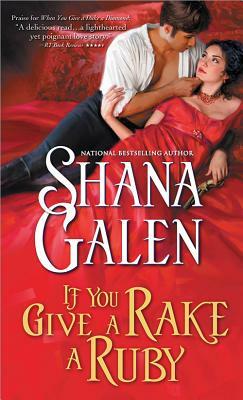 The second book in a sparkling Regency romance trilogy from acclaimed author Shana Galen following a glittering trio of celebrated courtesans whose fortunes depend on the ton believing the rumors about their mysterious lives.